While many would think that the abundance of digital technology would make it simpler to reach healthcare consumers, the truth is that the industry is cluttered with countless marketing tools and technologies that make it difficult to know which will work best. Fortunately, healthcare has become a very hot topic, so there is a huge audience hungry for healthcare marketing solutions that will meet their unique needs. The rise of digital, social, and mobile opportunities make reaching these consumers easier than ever and now is the time to leverage them all to their fullest potential. 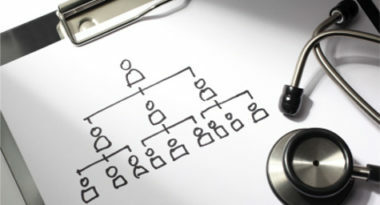 To help healthcare marketers get a better grasp of how to reach and resonate with consumers, MediaPost.com offered the following five secrets for success. 1. Understand the Brand – Marketers must have a thorough knowledge of the brands they represent in order to develop healthcare marketing strategies that are truly in tune with the company’s message and the consumer’s needs. Take an honest look at the brand’s current tactics and channels, and then gauge how they are influencing customer engagement and brand performance. Regardless of their success, consider experimenting with new approaches and digital technology to achieve better targeting, reach, and results. 2. Know About New Tools & Technology – It can be difficult to keep up with the ever-increasing array of social, mobile, and digital opportunities available in today’s healthcare marketing arena, but knowledge is power when it comes to developing the most effective and efficient strategies. Take the time to explore both the leading and the latest social media platforms and mobile options to get a solid grasp of which will work best for the brand. 3. Embrace the Empowered Healthcare Consumer – Today’s consumers are taking control of their healthcare and actively seeking information about products, procedures, and brands through a variety of online channels. Healthcare marketing professionals need to accept these tech-savvy consumers and develop tools that will keep them engaged and generate brand preference. Social media networks allow consumers to interact with the brand and fellow users, while mobile tools make it convenient to access the brand at any time, and digital technology provides abundant interactive possibilities. Take the time to explore these channels to better serve these empowered customers. 4. Take a Personal Position – The competition is fierce for healthcare customers, so give the brand a competitive advantage by personalizing communications and showing consumers that the brand understands their wants and needs. Tap into the brand’s personal data on its customers to customize the messaging for a real personal touch. 5. Respect the Reality of Retail – Online shopping continues to gain consumer acceptance, but it just can’t compete with the popularity of retail stores. With 92 percent of Americans living less than five miles away from retailers, such as pharmacies and supermarkets, it would be a huge mistake not to take advantage of in-store marketing to complement the healthcare brand’s digital, social media, and mobile initiatives. Interestingly, many retailers have started integrating digital elements into the in-store experience to enhance customer engagement and increase their opportunities to stay connected to consumers. There are literally limitless opportunities to connect with healthcare consumers today, so marketers must take the time to explore their options in order to deliver the care that consumers deserve. To discover how digital technology can help to improve your healthcare marketing results, contact MDG Advertising. At MDG Advertising, our 360° marketing approach uses just the right mix of traditional and online media to reach your healthcare marketing goals. While some industries may fare better in print and others online, we strive to create a balanced approach where digital and traditional marketing efforts support each other and your marketing message is tailored to the medium. To stay on top of the latest trends in healthcare marketing, contact MDG Advertising.